Quote from the movie Ladder 49: "Don't you think it might fall apart?" 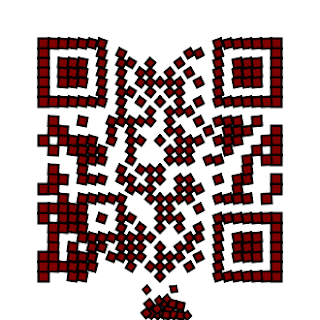 On the site kangaderoo.pythonanywhere.com where my relink tool is hosted, a QR Code generator tool is added. The basic codes generated from this tool do not hold graphics, and the colors are black and white. This assures that the generated code does not fall apart. This generator does support the variation in the shape of the code as described a few blog entries back. The next addition to this tool will be API access, in order to generate a high number of codes. Work in progress, more updates to follow, more tools to follow.